Anne of Green Gables Collection: 12 Books, Anne of Green Gables, Anne of Avonlea, Anne of the Island, Anne’s House of Dreams, Rainbow Valley, Rilla of Ingleside, Chronicles of Avonlea, PLUS MORE! Marilla and Matthew Cuthbert of Prince Edward Island decide to adopt an orphaned boy to help them on their farm, but their messenger mistakenly delivers a girl to Green Gables instead—an 11-year-old feisty redhead named Anne Shirley. She brings compassion, kindness, and beauty wherever she goes; she's a hopeless romantic, committed to her ideals, and guided by pure intentions—though that doesn't keep her from completely upending Marilla and Matthew's quiet life. The Anne of Green Gables Series and MUCH MORE in one Collection! As the father of four daughters who LOVE the Anne books, I set out to create the ultimate Kindle edition of these timeless books. I wanted a perfectly-formatted, easy-to-use Kindle release that included these amazing books at a fantastic price. And here is the result! Links to download the unabridged audiobooks of all 11 novels for FREE! Did I mention an unbeatable price? All titles in this Anne of Green Gables collection, along with their publication date, are listed below. 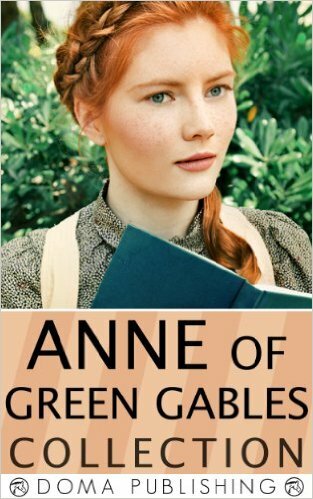 Unfortunately, there are two books in the Anne of Green Gables series which were published later and can’t yet be included in this Kindle collection because of copyright restrictions. These are “Anne of Windy Poplars” (1936) and “Anne of Ingleside” (1939).